Your app's last version was released on July 17, 2009. It is important to regularly update your app. Best practices recommend to update your app every 4 to 6 weeks. This means fixing reported bugs, improving existing features, launching new features etc. Keep an eye on users' feedback. The next great features may already be asked by many users. A simple easy to use and see guitar scale aid. -3 wood types: dark, med, light. 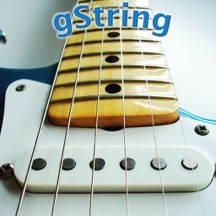 -Easy selection of scales & arpeggios. -Scroll up and down guitar neck. -Play basic audio of selected scale. -Harmonic minor scale & modes. -Melodic minor scale & modes.